The Colorado Rockies are in the hunt for the playoffs this year. As I type ... they are 1.5 games out of the 2nd wildcard spot, but only a game out of first in the NL West. They have plenty of games left with Arizona, so they basically have their playoff destiny in their own hands. But ... they are the Rockies ... so they are likely to need all the help they can get. You may not know this, but the Colorado Rockies have never won a division title. A couple of weekends ago, I did just that. 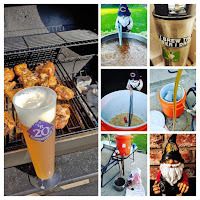 I don't make a lot of IPA's, but the other day I started thinking I really should get one brewed. 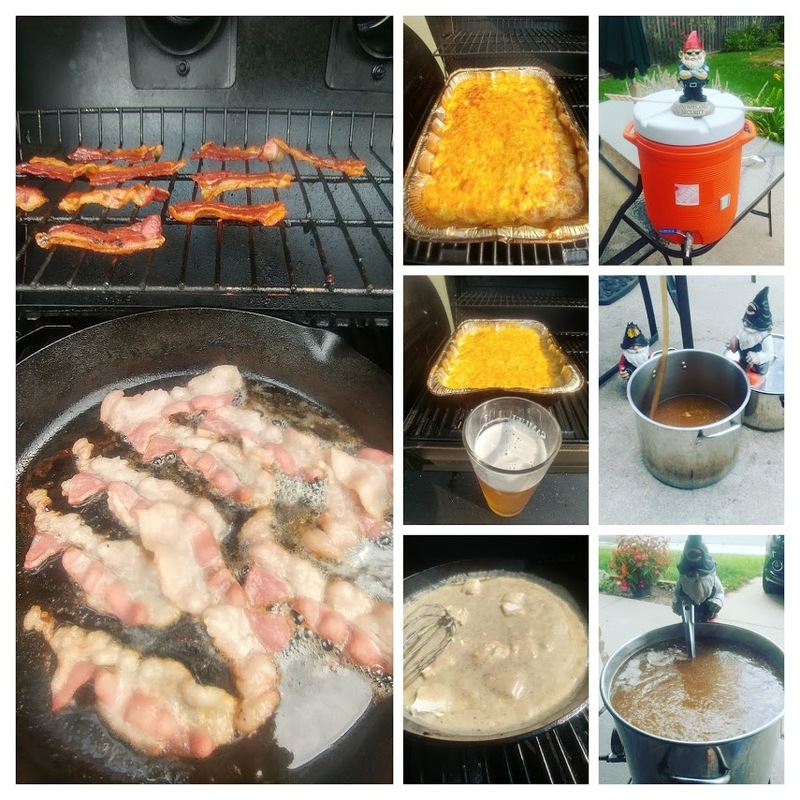 Quite awhile ago I brewed an IPA that I really enjoyed, named Near-Sighted Swine IPA. Rather than come up with a new recipe, I decided to use this one. I did update the hops a little. But, it is essentially the same recipe as it was back then. 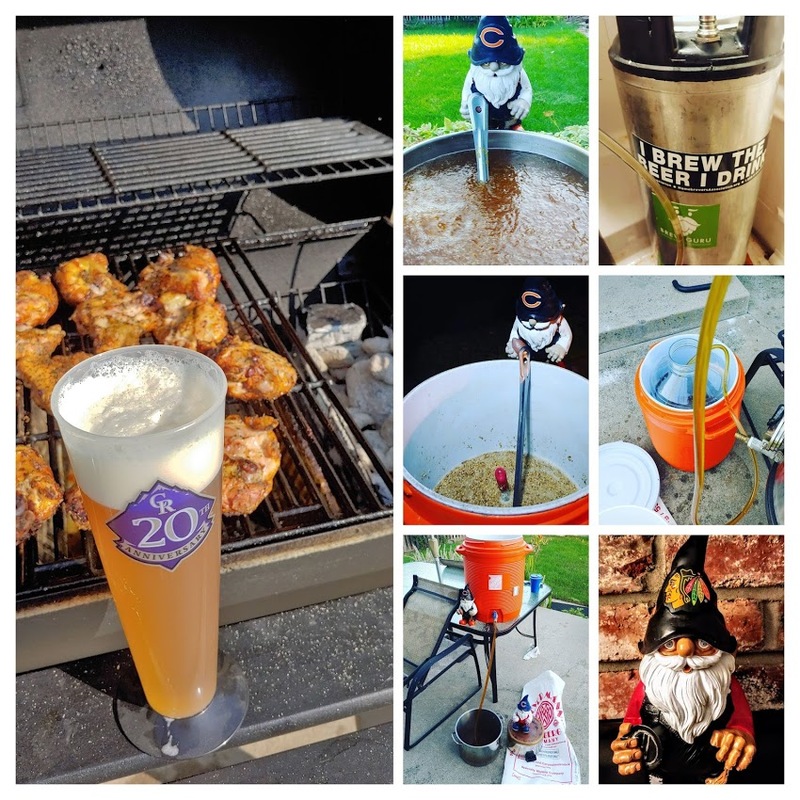 Last Sunday (not this past Sunday ... the one before), I brewed the beer. I started the brew day somewhat late for me ... after the sun was up ... around 6AM or so. The skies looked like rain, but I started on the back patio. About the time that the mash was done, I felt a bit of rain hit me from the skies and I made the decision to move the garage.